Calvary Guitars is a new guitar brand combining the style and tone of premium instruments, with the modesty of ethical pricing. They wanted to create a brand of guitars suitable for use in the worship of the Church. There are three key factors that Christian musicians have to wrestle with when making decisions over their gear: cost, quality, and tone. This meant producing an affordable guitar, one that the average Sunday musician could own and simultaneously not feel guilty about using an instrument that cost more than they’d tithed that year! They are not interested in making lots of profit, and make only enough to keep this venture sustainable. At the same time, they refuse to sacrifice on quality. They have squeezed every ounce of performance out of their guitars, down to the type of wiring used. Everything put on the guitar is weighed up, performance against cost, in order to fit the parts that give you the most sound quality for your money. This is why the spec of their guitars, rivals that of instruments costing over three times as much. Finally, as much as some may think the guitars look great, they know that there is really only one thing you’re interested in: the tone. 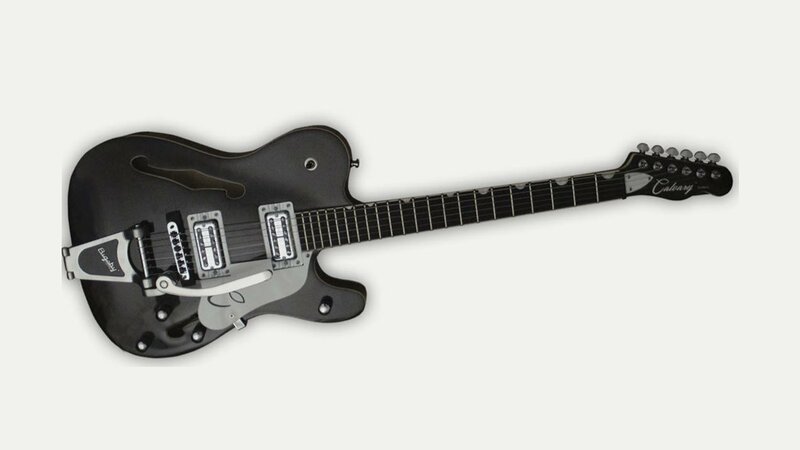 Their first guitar is the Telematic built around a solid core of Mahogany tone-wood, the Telematic captures the purity of a traditional solid body guitar. At the same time, the vibrations are led into the two atrium in the wings of the instrument, the frequencies reflected by the curved linden top and back, gently mellowing the sound.